Two Swiss banks are accepting money that was generated through business involving cryptocurrencies in a move contrary to what the majority of the banks in the country do. After Falcon Private Bank, a second Swiss bank now has decided to accept cryptocurrency assets: Maerki Baumann private bank in Zurich. The bank is offering an alternative for clients who so far have had to take their assets elsewhere and also responded to new demands in the market. With an increase in popularity of cryptocurrencies, more people have access to money from such transactions. Most Swiss banks however refuse to accept such money. The main reason behind that refusal is that the background of the assets may be tainted or hard to verify to comply with money laundering regulation. Clients therefore take their assets elsewhere, in particular to Liechtenstein. Bank Frick Liechtenstein is accepting such funds and provides support with investments in cryptocurrencies. Maerki Baumann doesn’t provide for direct investments in cryptocurrencies. It is however prepared to provide its clients with experts if need be. “Maerki Baumann closely monitors the development of these investment vehicles and the underlying regulation without our commitment to engage in this area. 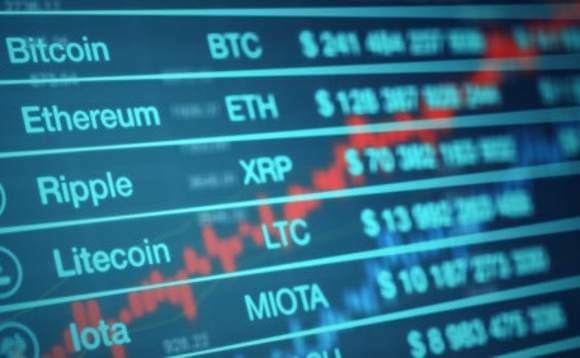 This concerns investments in cryptocurrencies as well as the technologies required to trade and store these instruments. We currently see cryptocurrencies as alternative investment vehicles, but we have limited experience and data (prices, volatility, trading volumes) available in our house, ” the bank said in a statement. Only crypto assets from payments received for a service rendered or from mining successes can be kept with the bank. Even with the service provided, Maerki Baumann is still sceptical of some cryptocurrency investments.